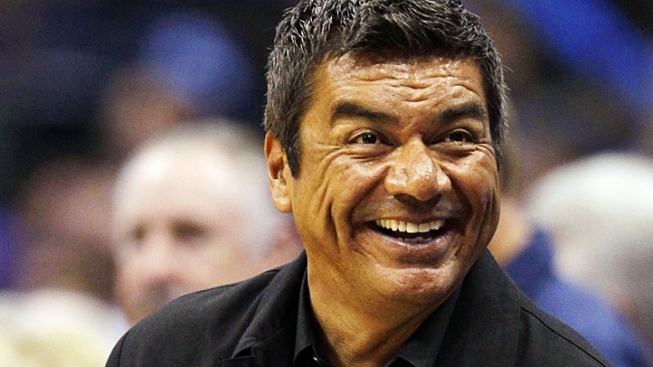 George Lopez signed off his late-night show. George Lopez's "Lopez Tonight" came to a close on Thursday, and the funnyman welcomed Eva Longoria to help end his run on TBS. "When we started this show, we both employed and married," Eva joked with the talk show host. "And now we're both divorced and unemployed." Lopez also showed a collection of his favorite moments from his two-year run, along with welcoming Arsenio Hall, Slash, and Lakers players Ron Artest and Derek Fisher as guests. The comedian-turned-talk show host also took time to thanks his co-workers and longtime supporter Sandra Bullock. "I never realized I could love people as much as I do now, and most importantly I want to thank Sandra Bullock, who 11 years ago took a chance on me," he said of the actress, who produced his sitcom, "George Lopez." "I want to thank my fans, who have followed me from stand-up to my sitcom and to 'Lopez Tonight,'" Lopez continued. "It's been great." Lopez ended the show with his guests as they rocked out to Kiss' "Rock and Roll All Nite." PLAY IT NOW: Access Hollywood Live: George Lopez — Justin Bieber's Hair Has Invaded The Latino Community!